I'm pretty open minded, but for as long as I can remember there are a few foods that I've always felt were better made at a restaurant and not homemade. I've always put pizza in that camp, so I never really made homemade pizza. I ate it, but it was made by someone else. I then started buying those ready-made crusts, like Boboli. I'd add cheese and pepperoni and call it pizza. It was convenient. A couple years ago I noticed the grocery store was actually selling pizza dough in the refrigerated section. I bought that and added cheese and pepperoni. It was an improvement over the ready-made crust. 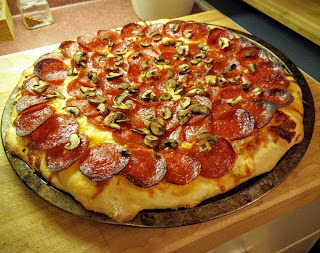 After a year or more of buying the pizza dough, it dawned on me just how easy it would be to make it myself. Problem is, I didn't want to have to wait for dough to rise when I wanted pizza. You know the feeling I'm sure. When you want pizza, you NEED pizza SOON! That's when I decided to consult the internet and see if I could freeze pizza dough. Much to my amazement (there is yeast in it and yeast is alive, afterall) you could! You can find the recipe I use here. I usually double it and get three large sized pizzas. 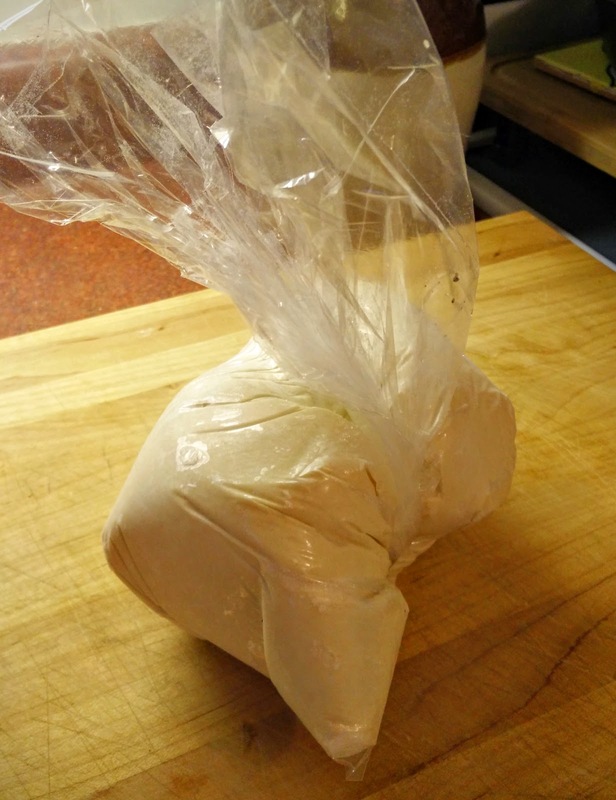 I simply pull the dough out of the freezer the night before. 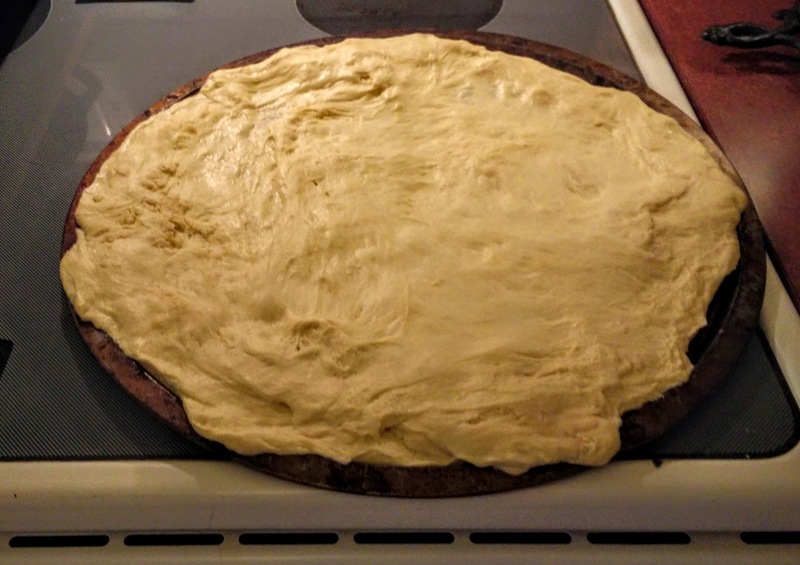 Once thawed, gently pull the dough on the edge and turn it clockwise to shape it. to work great for baking. Add your favorite toppings (pepperoni, of course) and bake at 420 degrees for about 22 minutes. 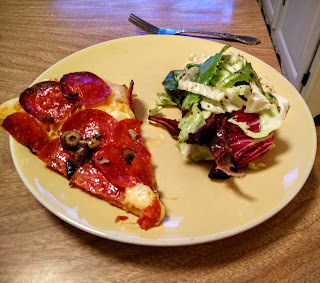 I'm still a huge fan of pizza made at a restaurant (preferably with a wood burning stove!) but this sure is a close second!